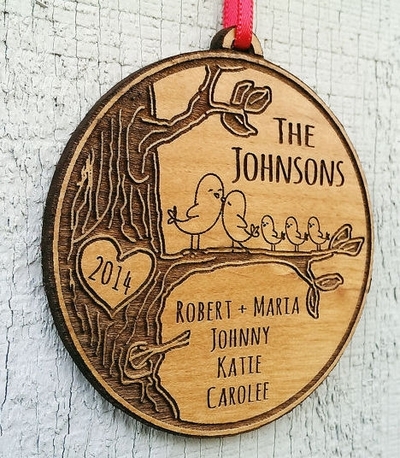 Cute Custom Family Personalized Christmas Ornament for you and your loved ones! Take a look at these cute love birds, kissing and all. with bunch of little birdie kids., on the tree branch and the heart in the tree trunk has their initial and everyone's names engraved.